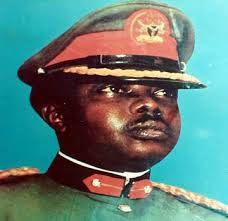 On this day, 13 February 1976, General Murtala Ramat Muhammed, Nigeria’s then Head of State and Commander-in-Chief, was assassinated in Lagos, Nigeria’s then federal capital city. He was just 37, leaving behind his only wife, Ajoke, and six young children. A fine gentleman and revolutionary leader, General Muhammed stood for patriotism, positive nationalism, pan-Africanism, and strategic Foreign Policy. Forty-two years later, the time remains ripe as ever to examine and extrapolate the ideas and ideals of the General in the context of the existential challenges, which our country Nigeria currently faces. During his time as Head of State, Nigeria became relevant in Africa and the World. General Muhammed was not only ideologically driven, he was methodical as he employed the power of plans and think tanks. He named Abuja as the new Federal Capital Territory, citing the geographical centrality of Abuja as a uniting factor. General Muhammed also re-federalised Nigeria with the creation of seven states, including Bauchi, Benue, Borno, Imo, Niger, Ogun and Ondo. He re-organized the Nigerian armed forces and initiated a comprehensive review of the Third National Development Plan, all within his one year at the helm of the affairs. On October 1st 1975, General Muhammed announced the five-stage program of transition to civilian rule, from 1975 to 1979. This comprised the creation of new states and the reorganization of the local government system, he setting up of a Constitution Drafting Committee (CDC), followed by a Constituent Assembly (CA) to deliberate on the draft constitution, lifting of the ban on politics, elections into state and federal legislatures, and the handing over of power to civilians on October 1, 1979. Muhammed recognised that structural reforms were required with the demilitarization process, to create a viable political system that will be stable and responsive to the needs and realities of the country. However, this transition to civil rule program had barely started when Muhammed was assassinated in an unsuccessful coup on February 13. Today, our country Nigeria is still facing problems that General Muhammed sought to eradicate 42 years ago; corruption, poverty, civil unrest and a shaky foreign policy architecture. At the global level, Nigeria can and should leverage on the legacy of General Muhammed, for Africa to once again find its dominant space in world affairs. His Afro-centric foreign policy strategy not only placed Nigeria above its African counterparts, it effectively crashed the pillars of injustice and apartheid in Southern Africa. The ‘neutral’ stance of Nigeria during the cold war era as against the politically correct ‘non-aligned’ movement of the time made Nigeria stand out from the pack. That there is no more cold war should not diminish the voice of Africa’s most populous country. It is important at a time like this when our continent is being derided to recall General Muhammed’s speech to the AU leadership on the 11th of January 1976, delivered so much pride and expectation; Africa has come of age. It’s no longer under the orbit of any extra continental power…………It should no longer take orders from any country, however powerful. The fortunes of Africa are in our hands to make or mar. For too long have we been kicked around; for too long have we been treated like adolescents who cannot discern their interests and act accordingly. Similarly, sound and strategic foreign policy can be the bedrock of national development as it was in the days of General Muhammed. Global politics is an extension of domestic policies. Nigeria needs restructuring of minds, of attitude, of economic thinking and of course, of governmental structures. Above all, if we can begin to train the minds of the young and the old at domesticating pan-African ideologies of self-reliance and self-sufficiency, we will overcome our developmental challenges. An opportunity for our national rebirth is here, if only we can replicate some of the values and virtues of our heroes past, as demonstrated by the Late Murtala General Muhammed (1938-1976). Reflecting on General Muhammed’s short-lived innovative leadership and legacy, we believe time is now for a re-interrogation and re-calibration of new forms of thought towards national rebirth. 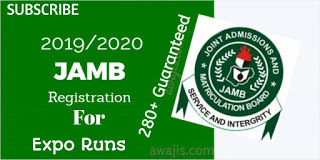 Following from the above I would like to announce that the Foundation is expanding its co-funded educational scholarship and financial aid fund to N50,000,000 a year and the launch of its quarterly conversations in partnership with the Daily Times of Nigeria with a focus on governance, and leadership in crisis leading up to the 2019 elections and beyond. CEO and trustee Murtala Muhammed Foundation. 0 Response to "Murtala Muhammed: 42 Years later, and a call for national rebirth"